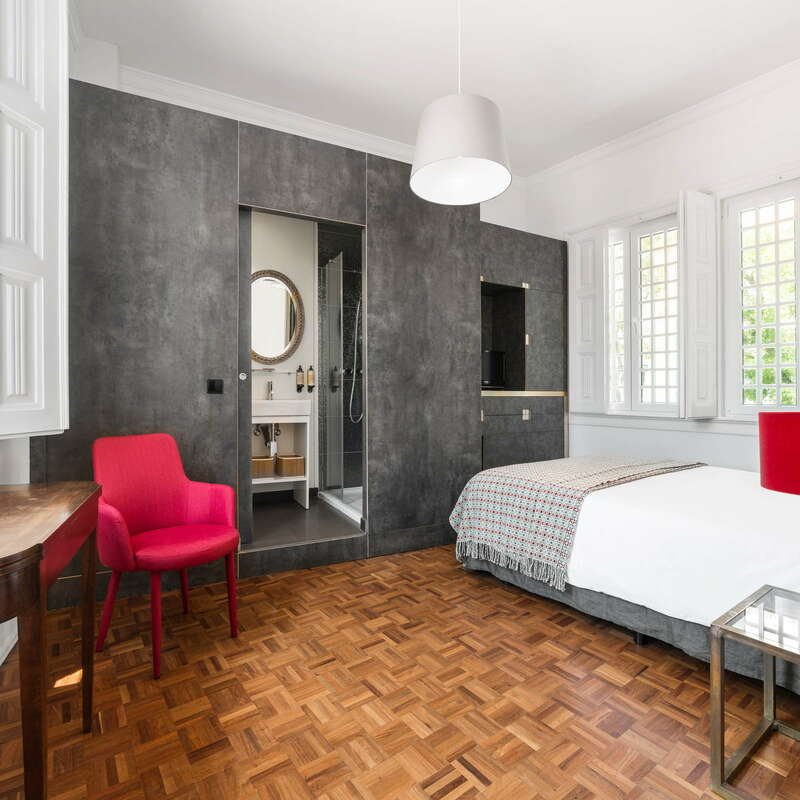 Part of the Shiadu chain of small, chic and characterful properties in Lisbon and Porto, Monte Belvedere offers stylish boutique stays a stone's throw from Lisbon's Adamastor lookout point. The intimate hotel has just 12 rooms and suites, and the service is super-attentive without being stuffy. 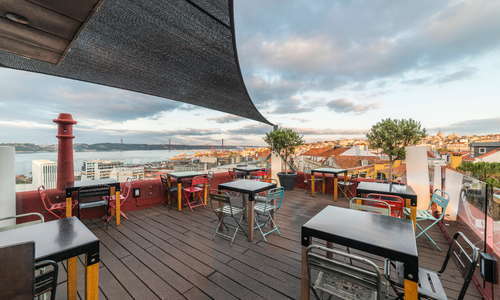 The roof terrace, with its dramatic views over Lisbon's historic center and down to the shimmering River Tagus, is the hotel's crowning glory, and the rooftop bar Madame Petisca is a popular spot for nocturnal gatherings. 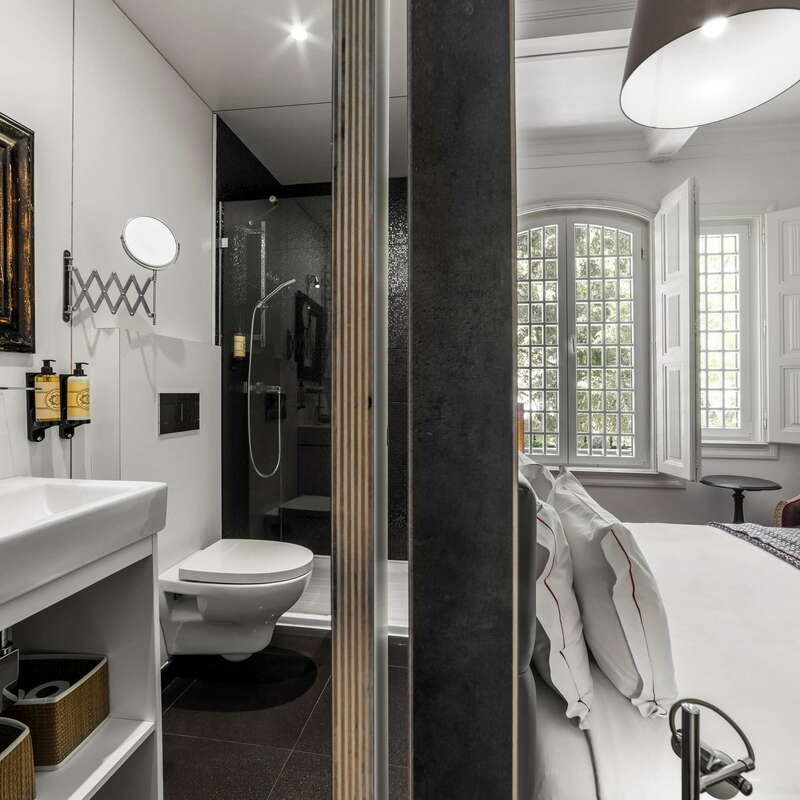 With the Bairro Alto, Chiado, the waterfront and Pombaline downtown all close at hand, the hotel is perfectly placed for shopping, sightseeing and exploring Lisbon's excellent drinking and dining scene. 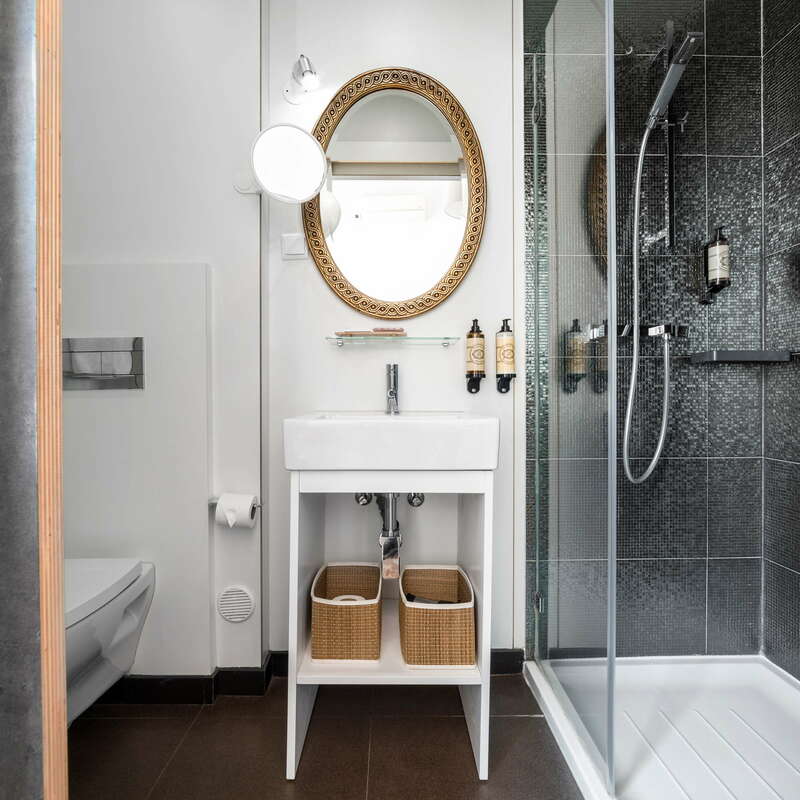 The 13 rooms and suites are bright and airy, and combine retro 1920s stylings with a dash of contemporary flair in the parquet floors and crisp white linens. Rooms have fresh white walls, some with single walls painted in bright primary colors. Statement artworks continue the 1920s vibe, while in-room WiFi, A/C and cable TV bring things up to date. 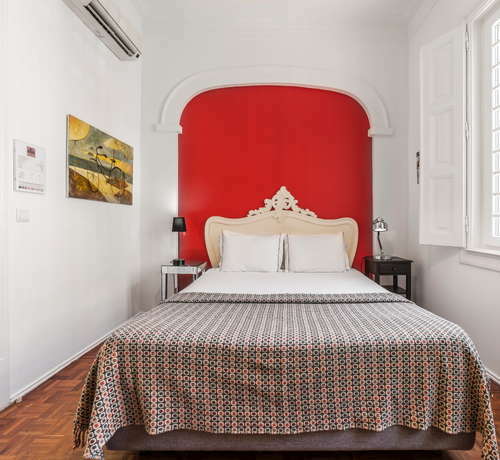 Most rooms have impressive views over either the city-with its red rooftops, gleaming white buildings and impressive monuments-or down to the river. Suites have living areas with work stations, and some rooms have space for an extra child's bed. This is a busy part of town, and light sleepers may find street noise an issue. 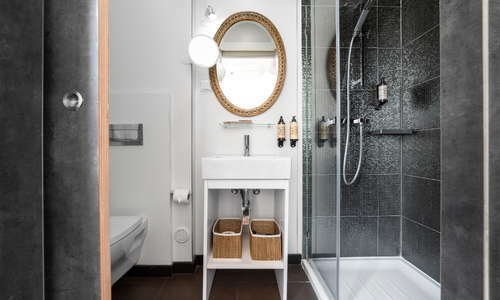 The en-suite bathrooms are sparkling clean, modern and stylishly appointed, with tubs and overhead showers. 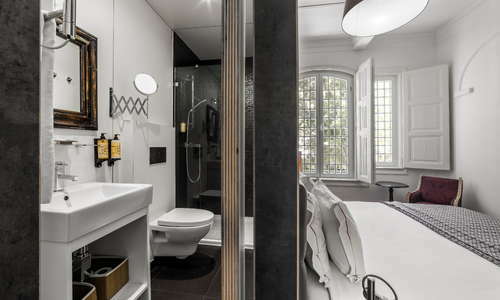 Complimentary toiletries and hairdryers come as standard. The small lobby, with its single reception desk manned by smiling staff, is a welcoming spot, with bright colors and lots of comfy chairs for lounging in. Staff are happy to store luggage, hand out maps and offer tips on places to go (and places to avoid). Generous buffet breakfasts are served on the hotel's impressive terrace, and are a high point of any stay here. 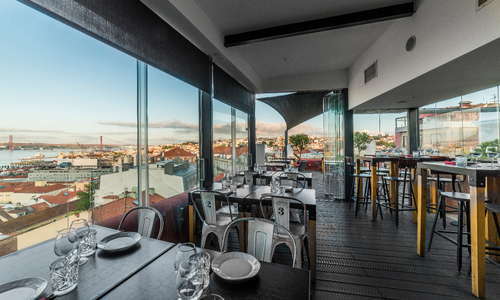 Later on, the rooftop bar serves petiscos (tapas-style small plates), as well as very affordable set lunches. The menu offers a better-than-average selection of vegetarian and vegan options as well as meat and fish dishes. 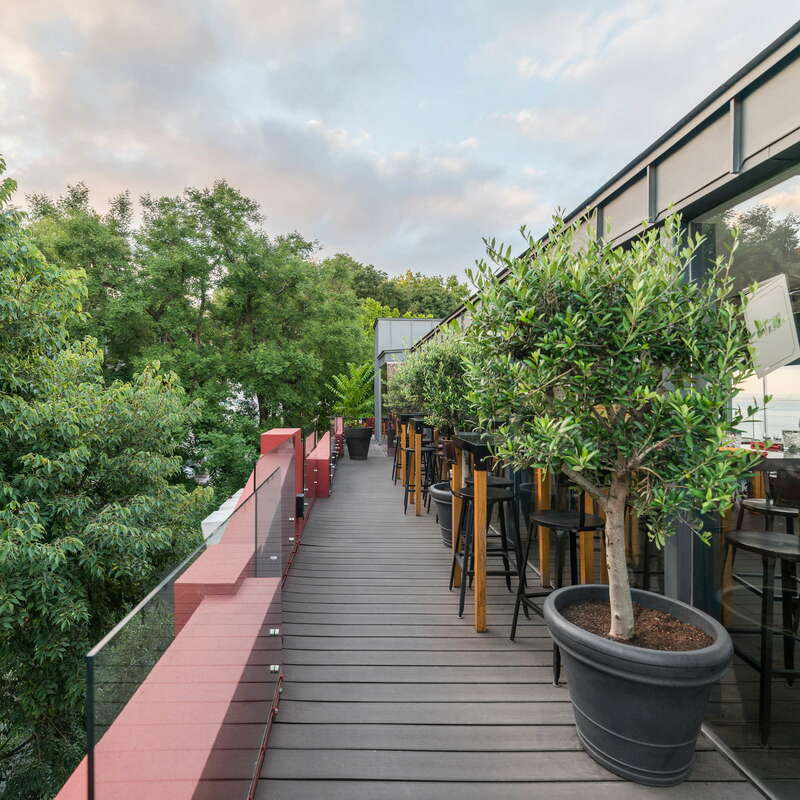 The terrace bar, Madame Petisca, is open to the public and the gorgeous views over city and river make it a popular spot for sundowners. DJ sets add a lively vibe, and there's a huge range of boozy and alcohol-free cocktails, as well as wines by the bottle or glass. Lisbon's gastronomic scene is impressive, and its coastal location means the fish and seafood is superb. 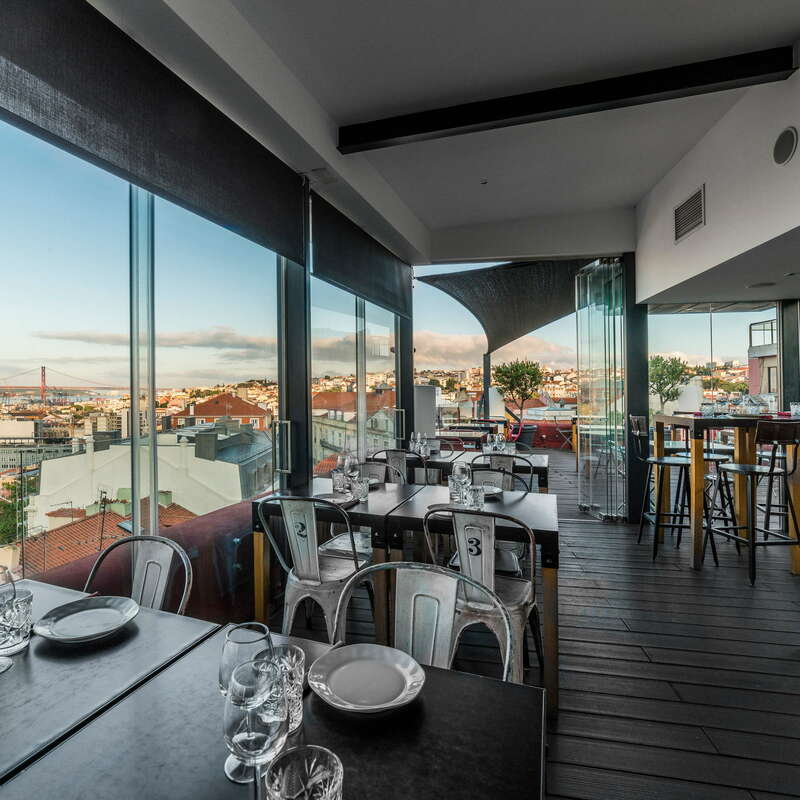 Some of the best examples can be found at the trendy Sea Me (5-minute walk); while the Mercado da Ribeira (10-minute walk) is a foodie must-visit, with its vast dining hall offering a chance to sample everything from ceviche to spectacularly good ice cream. 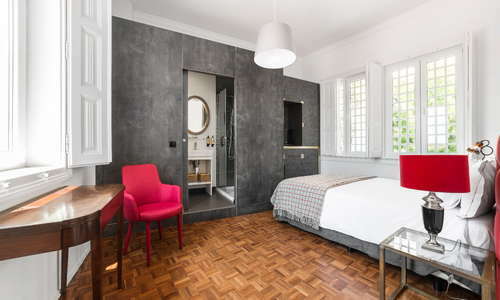 Party people will be in their element at this hotel, thanks to a prime location just a few minutes' walk from the buzzing Bairro Alto in one direction, and newly-hip Cais do Sodré in the other. 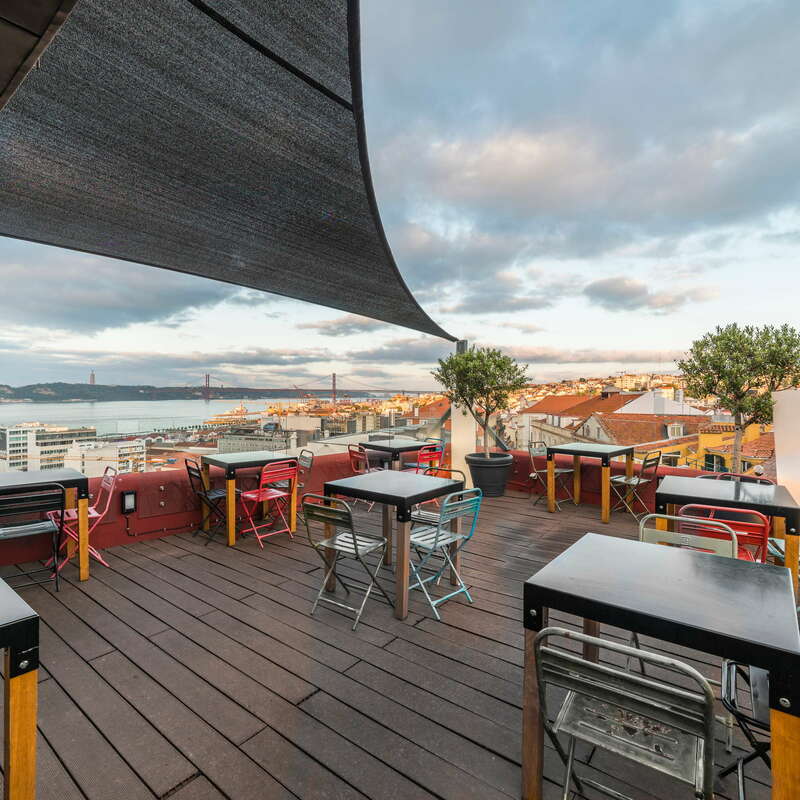 Both neighborhoods are packed with late-opening bars, with Portas Largas (10-minute walk) an ever-popular Bairro Alto hangout and a good place to start a night out. Down the hill at Cais do Sodré, Rua Nova do Carvalho (known as 'Pink Street') attracts hordes of nightlife, with the bordello-chic Pensão Amor a unique spot whose bars feature everything from burlesque performances to poetry readings. 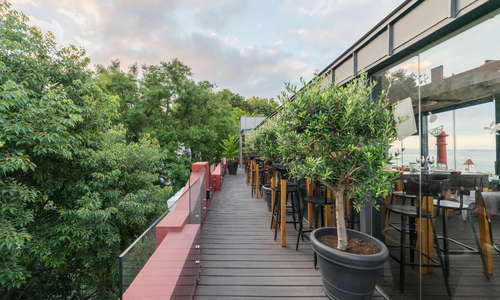 The roof terrace alone is reason enough to fall in love with this welcoming boutique hotel, and the well-appointed rooms, super-helpful staff and great location are further strings to its bow. 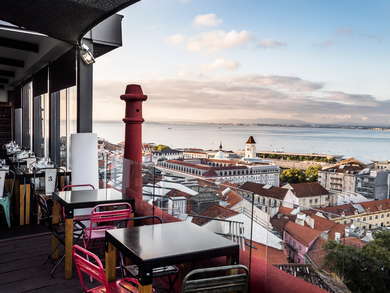 Breakfasts are another strong suit, and the lively cafe, Madame Petisca, is a popular hangout with local cool kids.